Since May 2018, visitors to the largest shopping center in Central Germany, the Nova Eventis, have been able to navigate spectacularly to over 200 shops. The 3D wayfinding system is available on nine interactive kiosk systems. 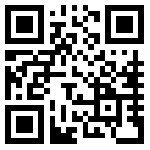 Via QR code, the 3D animation can be opened on the smartphone. The search for a destination is very easy via the menu, the virtual keyboard or keywords.